59-year-old Frank Lorenz of Germany won the Big Wheel Blading 2018 Inline Skating Distance Challenge skating 13,368.43 km (8,306.76 miles). He originally comes from Cologone Germany but now lives in the small village of Dormagen-Ueckerath between Cologne and Duesseldorf. Since 2014, when I first skated the “Rhine on Skates” event clocking in over 135 km (83 miles). I wanted to increase my personal fitness and it’s a great experience to skate with other skaters longer distances. Are there any distance skaters out there who inspire you? 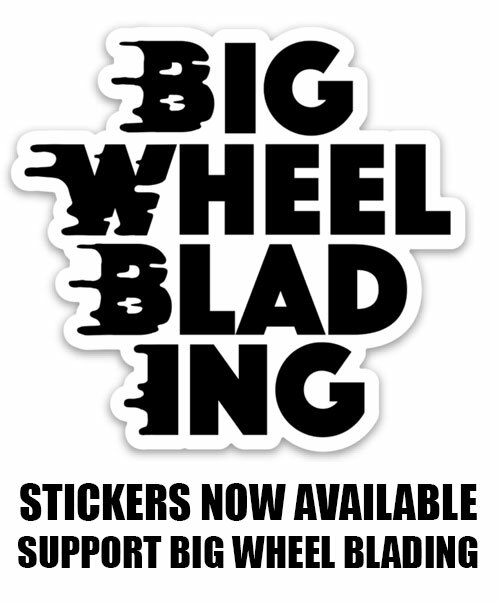 The top five skaters from the Big Wheel Blading 2018 Inline Skating Distance Challenge motivated me every day, especially Faust Núñez, who has driven me to new heights in the last four weeks of the Challenge. For how many years have you been tracking your kilometers? How has your approach, goals and skating changed? Every year I skate more and more and I participate in more and more skating events and skate camps. How did you find the time to skate so many kilometers in 2018? I have been exempted from work by my employer (Early retirement). What was your daily skate regiment like? I usually started skating in the morning after breakfast. I would skate 40-50 km (24-31 miles) in 3-4 hours. In addition, I skated three nights a week with my skate community between 20-30 km (12-18miles) per night and on the the weekend we would skate 40-80 km (24-49 miles) day tours. My original goal was to skate 8,000 km (4,970 miles) and to make it into the top 10 of this years challenge. So yes, I have exceeded my goal by a few kilometers. The last week of the challenge. I still had a good lead, but the second-placed Faust Núñez skated more than 100 km (62 miles) per day for three days and more than 200 km (124 miles) on two days. This made my comfortable lead quickly get smaller and put a lot of pressure on me. Fortunately not in 2018, but in 2017 I had a bad fall and tore a muscle in my thigh. Were there any months you skated less then others? In January and February I skated less because it rained a lot. How many days this year did you NOT skate? The winter in my area is fortunately not so cold, max 0 degrees Celsius (32 Fahrenheit). Then I wear long frostbreaker pants, with training pants over hem, a frostbreaker sweatshirt and over it my community shirt, knee pads, elbow pads, gloves, headscarf and helmets. What moments were your proudest achievements in your skating in 2018? At the moment that I realized that I could win the challenge. Spending so much time skating this year, did it affect your lifestyle? If you skate so many hours a day, you have little time for other activities. My wife supports my skating, but it was a burden on her since she was often home alone or had to accompany me to skating events. What food do you eat before, during and after skating? What do you use to hydrate when skating? I do not eat anything special during or after skating. I skate mostly mornings I always have a good breakfast first. I drink half a liter of iso-drink every 20 km. 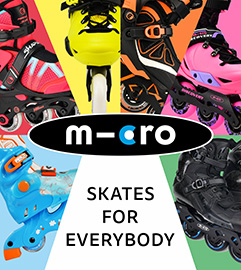 What are the social skates like where you live? Are you involved them? We have a great skate community in Duesseldorf (www.dusfor.de), We skate 3 times a week in the evening and in addition we do many weekend tours. Nine evenings a year we have the Skate Night Duesseldorf in which up to 5,000 skaters participate. I am a supporter at the Skate Night. Did you have days you wanted to give up from exhaustion? No, I skate only so much that I do not reach my limits. Of course, there are days when your ankles hurt, then I would take a day off. No, at some point it is a habit that you skate every day. When you first started skating did you ever imagine you would be skating thousands of kilometers in a year? No, when I started I had many other hobbies and had to work so I did not have that much time. Have you skated any marathons? No I have not. I’ve never been interested in speed skating. However, this year I may skate the Berlin Marathon on the DUSFOR Motivation Team and support their skaters who do not make it to the finish time. What is your favorite route to skate? Here where I live there is a route called monastery tour. This is a track which has different combinations between 30 to 70 kilometers (18-42 miles). We skate this route every Wednesday evening in the summer and then have a drink break in the beer garden of Knechtsteden Monastery. The most beautiful tour here in Germany is always once a year in August, it’s called “Rhine on Skates”. This is a 135 km tour through the beautiful Rhine valley. Skating that much distance takes a lot of time. Time that many do not have when they still have to work. But anyone who tries it must listen to their own body, and must be aware of when to take a break. You do not have to prove anything to anyone, everything you do should be done for yourself. The Powerslide TAU skate, Powerslide Katana Rocker Trinity 231mm Frame, Powerslide Twincam ILQ 9 PRO SCRS bearings, 3x100mm Wheels mostly Powerslide Infinity Plus 100mm/88a for dry and warm weather and Powerslide Infinity Plus 100mm/84a or Hyper Hyperformance +Grip 100mm/85a for cold and wet weather. How many sets of wheels and bearings did you go through in 2018. I went through two sets of bearings which had to be exchanged gradually if they were damaged by moisture and dirt and five to six sets of wheels. I don’t remember exactly how many because I often changed my wheels depending on the weather or what kind of skating I was doing. When I skated distance I used 100mm wheels but for urban skating I would switch to 90mm wheels. 2018 was perfect for me. My personal fitness, beautiful weather without much rain and lots of free time. Those were the reasons why I could win the challenge. I do not think I can repeat that in 2019 again. I hope I can claim a place in the top 10 this year, I think 8000 km is a good goal. Frank and his prizes for winning the 2018 Inline SKate Challenge! Frank with his challenge prizes! Thanks Powerslide and Sonic Sports! Thank you Powerslide and Sonic Sports for sponsoring the 2018 Inline Skating Distance Challenge. To find out more information about how to join the 2019 Inline Skate Challenge and the 2019 Big Wheel Challenge on Endomondo click here.